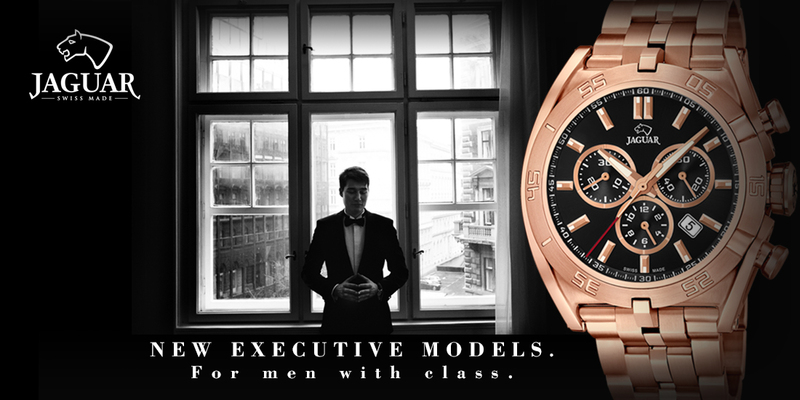 The Executive collection from Jaguar returns with new dials and finishing. The new 2017 models offer this iconic chronograph in a yellow or rose gold or a two tone IP treatment finish. The elegant style of this model is reinforced by the outstanding quality of the materials used, the robust look achived thanks to the case dimensions – 45.80mm. Equipped with a scratch-resistant sapphire glass, these chronographs are also available on a luxury calf leather strap.